In a study about sleep habits and sleep quality, highlighted by PR Newswire, 16 percent of respondents reported a preference for stomach sleeping. That makes this the second-most popular sleep position, after side sleeping. However, sleeping on your stomach is not recommended, as it can put stress on your neck and spine. This can make finding the best mattress for stomach sleepers difficult. While an easy fix would be to stop sleeping on your stomach, some habits are harder to break than others. If your dominant sleeping position is on your stomach, investing in a quality mattress that works best for your needs will help improve your quality of sleep. These are a few recommendations of mattresses we think might be right for those who prefer a stomach-sleeping position. When looking for the right bed for stomach sleepers, you want something that is soft enough to offer pressure relief but supportive and firm enough so your hips don’t sink in too much, putting tension on your lower back. Again, while the research shows stomach sleeping is not the best position to sleep in, these mattresses listed below are the best bet for those who are unable to switch to a back or side sleeping position. If you’re looking for our overall recommendation for the best bed, please refer to our post on finding the best mattress for you. First, it has two inches of plant-based Bio-Pur® foam, which is designed to provide cushion and comfort. Its plant-based structure promotes breathability, helping you sleep cool throughout the night. Second, it has three inches of Affinity Foam with HIVE® technology. This benefits stomach sleepers because it’s a firmer, back support foam which will help keep your hips from sinking in. Finally, it has seven inches of a heavy-duty, durable foam called Bio-Core® which provides a strong foundation for the top two layers. The Avocado Green mattress from the Avocado company combines foams with pocket coils to create a plush bed with additional support. A bed like this, without the added pillow top, may feel soft when you’re resting on it. But beneath that soft top is a series of coils that can keep your hips from sinking low and your head from popping up too high. The foam layer in the Avocado is made with latex rubber, which the company suggests provides temperature control that synthetic materials can’t match. This latex layer has an open-cell structure, which can move heat away from the sleeper during the night. The Avocado is also made with organic materials, which might also appeal to consumers looking for a good mattress that will not harm the environment. The Leesa company is known for foam-based mattresses that offer a cushiony, sinking sleep environment. But their Sapira mattress is different and is better suited for stomach sleepers. The Sapira mattress has a foam layer near the top of the mattress, but it contains six inches of springs that sit beneath the foam. A hybrid mattress like this is designed to offer the pillow-like feel shoppers are accustomed to while providing additional support for those looking to ease back pain or prevent new back pain episodes. The coils could keep the hips from dropping too low into the mattress, and the pillow top could help to make falling asleep a pleasure. The Sapira contains a 1.5-inch later of cooling foam, to help move heat away from the sleeper during the night. This is a thin layer, so it is possible that this could allow some heat to get trapped, but it may be enough for some sleepers. 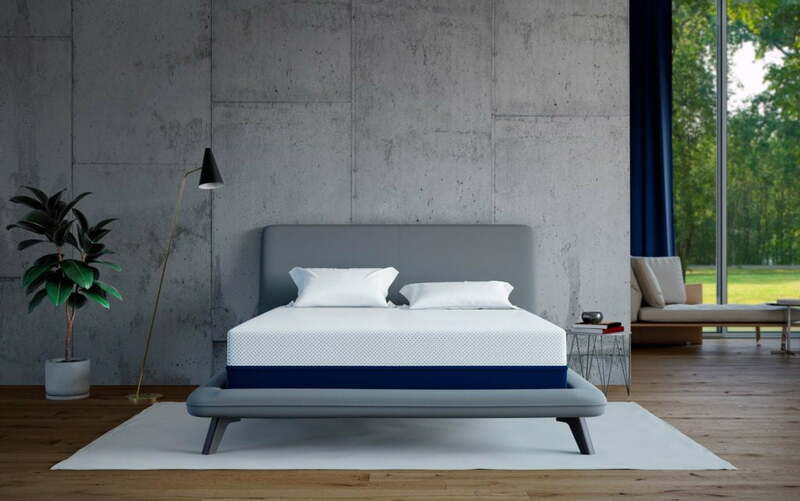 The Helix company offers a sleep-research tool that allows consumers to answer a few questions and find the mattress that is right for them. Stomach sleepers are directed to the Dusk mattress, which combines foam layers with springs. The Dusk mattress contains two layers of foam close to the body of the sleeper. These foams are designed to conform to the shape of your body as you sleep while also offering cushioning. Beneath those foams is a layer of individually wrapped coils. Those coils sit on yet another layer of dense foam. 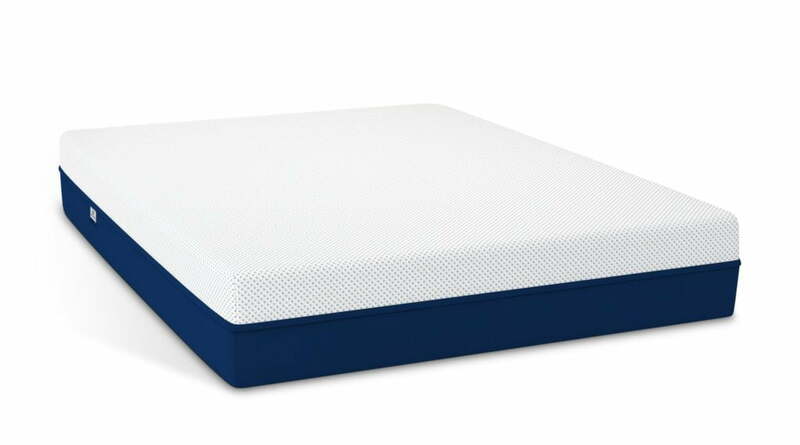 The structure allows for both softness and support, so your back can stay in alignment as you sleep, without allowing you to sink too far into the middle of the mattress. Overall Recommendation: We have read the research and have concluded that sleeping on your stomach can pose serious health risks, both long term and short term. We recommend, if at all possible, to consider looking for the best mattress for side sleepers or the best mattress for back pain to help you stop sleeping on your stomach. Doctors often advise against sleeping on your stomach because stomach sleeping can put unique and dangerous pressure on your neck and spine. Tip the head up and down. Lean back from the hips. While the spine certainly can do all of these things, spine health begins with keeping discs in a neutral position. 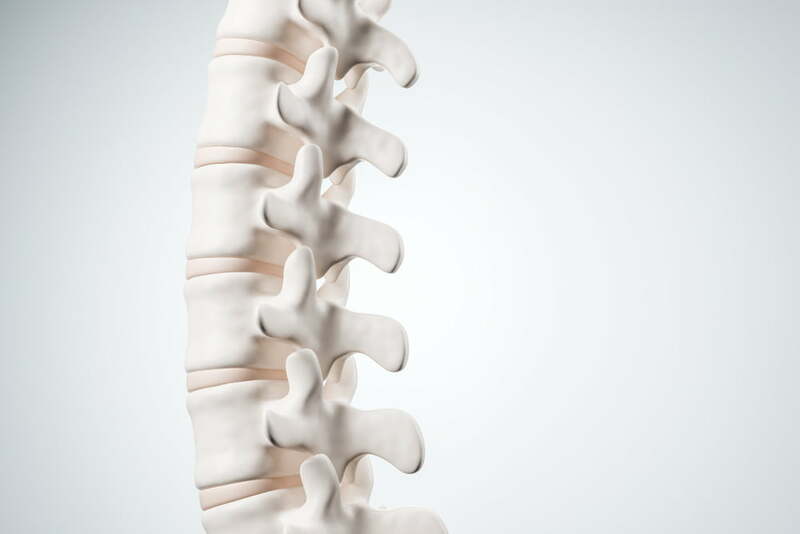 The spine should contain two distinct curves, but, overall, the bones should be in alignment the majority of the time. It is important to keep your spine in a neutral position while you sleep because modern life encourages us to sit or stand crookedly. For example, The Washington Post reports that 58 percent of people who own smartphones are at risk for sore, inflamed discs in the neck. The risk comes from smartphone use and how body bends to use our electronics. A typical smartphone user holds the device in one hand while bending the head down to read the screen. The weight of the head exaggerates the curve of the neck, putting intense pressure on the discs. This position can lead to pain and long-term damage. When you sleep on your stomach, you increase the risk of neck discomfort. Your spine may be in a neutral position if you’re placing pillows under your hips, but your head is likely twisted to the side and raised up on a pillow. That can add further strain and inflammation to neck discs. If you do experience back pain, you are not alone. According to a survey by the National Institute of Health Statistics, lower back pain is the most commonly cited source of ongoing pain. In fact, 27 percent of respondents said they had this type of pain. Sleeping on your stomach can put additional pressure on your back. Your favorite pillows can raise your head higher than your shoulder blades, forcing your spine to curve in an unusual way while you sleep. Tucking a leg up to your side as you sleep on your stomach can add another unusual curve in your lower back. Together, these two twists can make an existing back issue worse, and they could cause enough strain to encourage a new back-pain problem to appear. Therapies for back pain can include chiropractic care, physical therapy, pain medications, and surgery. While these therapies can — and often do — provide real relief, looking closely at the best mattress for back pain could also be helpful. The way that many modern mattresses emphasize a sense of softness is sometimes misleading. These mattresses contain memory foam elements, topped by additional layers of foam, all meant to encourage a sense of sinking into a bed and drifting off into an envelope of comfort as you sleep. However, this very-soft mattress could cause some problems for stomach sleepers. A too-soft bed, or memory-foam mattress, could encourage heavier, bonier parts of your body, like your hips, to dip down deep into the mattress while allowing your head and its pillow to float up high. This can place a strain on your neck and mid-back. If you use a thin pillow, as recommended for stomach sleepers, a soft mattress could allow your head to sink in, which could cause a sense of suffocation. Some memory-foam mattresses also can trap heat generated throughout the night, and, as you sleep on your stomach and put a great deal of your body’s mass into the mattress, the extra heat could cause your body temperature to rise quickly. If you like the benefits of memory foam, but want a mattress that won’t sleep hot check out our post on finding the best memory foam mattress. Investing in a mattress that is designed to support your decision to sleep on your stomach is a smart place to begin. When you have the proper technology supporting your back, you may find that you can avoid stiffness when you awaken. Using a pillow under your hips. By propping your hips with a slim pillow, you can ensure that your lower back’s curve stays in place while you snooze. That pillow should be thin, so you don’t exaggerate the curve, but it can be more helpful than allowing your hips to lie flat. Use a flat pillow under your head. Puffy pillows can cause intense strain on your neck while you’re lying on your stomach. By using a flat pillow, you can encourage your neck to stay in a neutral position. Skip the pillow altogether. If you can, avoiding the use of a pillow under your head can be wise. Your neck will be in line with your back if you have no pillow under your head at all. Try sleeping face down. Rather than twisting your head to the side as you sleep, place a rolled-up towel under your forehead. Keep your mouth pointed down as you sleep. You can also try training your body to accept a new sleeping position. A great way of doing this is to consider an adjustable bed. The best adjustable bed for this will allow you to lift your head and legs up, creating what is referred to as a zero-gravity position. A lot of mattress companies see the value an adjustable bed brings, and will even create bundles or packages which allow you to save more by buying their mattress with an adjustable bed. For example, Amerisleep’s AS2 can be bundled with an adjustable bed to get bigger savings. Sleep is one of life’s necessities. It can also be one of life’s simple pleasures. When you awaken in the morning after a long and refreshing night of sleep, you might feel capable of doing almost anything you set your mind to. When you don’t sleep well, even small tasks can seem overwhelming. Sleep is also very personal. What helps you to drop into sleep might not be right for someone else who needs to rest. That is why it’s so important for you to do your research about sleep needs, sleep health, and mattresses. We make that research easy. We have collected information about studies related to sleep and sleep health, and we have reviewed mattresses from all sorts of manufacturers, so you can make an informed choice. We encourage you to look through our articles and get informed before you buy. Foundation. Back, Side, or Stomach: Which Sleep Position Is Best for You? (June 2016). Cleveland Clinic. National Sleep Survey Pulls Back the Covers on How We Doze and Dream. (December 2012). PR Newswire. ‘Text Neck’ Is Becoming an ‘Epidemic’ and Could Wreck Your Spine.” (November 2014). The Washington Post. One in Four Adults Sought Care for Neck/Back Pain Last Year. (August 2016). Gallup. How Should You Sleep if You Have Lower Back Pain? (February 2018). Medical News Today.